Croatia’s long and beautiful Adriatic coast is a popular summer destination in Europe. Not just the countless dream beaches on its indented coastline, but also its hundreds of bigger and smaller islands. Did you know that some say there are over a thousand islands in Croatia? The exact number varies by definitions and by different measurements, but no doubt, the number is big. Actually, Kornati archipelago itself contains about 140 islands. 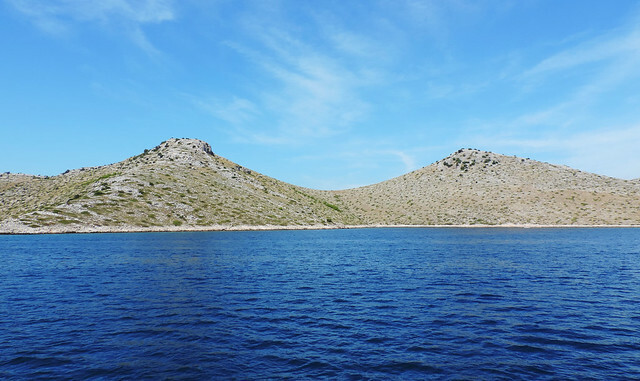 Kornati is the densest archipelago in the whole Mediterranean Sea and a large part of it is a national park as well. Its name is the plural form of the name of the largest island, Kornat. This paradise is not so easy to access on your own though. Except if you have a boat or a yacht. Because there’s no bridge or ferry route connecting to any of the islands with the mainland. But luckily we could choose from a bunch of day trips organized by tour companies in Zadar. Zadar is a port on Croatia’s Dalmatian coast and several tours are organized to different islands and national parks from Zadar. We haven’t booked anything in advance though. We walked around in the port on the evening when we arrived and booked a tour to Kornati Islands for the next day. How does a tour look like? Our tour started at 8:30 am and ended around 5:30 pm. Basic food for breakfast and lunch was also included, but the main attraction, of course, was visiting Kornati Islands National Park. 9 hours may seem a lot, but it was roughly 4 hours that we actually spent in the national park. Other than that we had to get there and get back. Not that the views of the Dalmatian coast, Zadar and several other islands near the coast was not nice, but we felt a big WOW rushing through us when entering Kornati Islands National Park. Our boat navigated around several bigger and smaller islands – some bare and rocky, some lush and green, some are so small that 10 people would make it overcrowded. And the different shades of turquoise and blue all along the shores of the islands. After having a simple seafood lunch on the boat (with the views of the islands! 🙂 ) we stopped on Dugi Otok where we had 2.5 hours to explore the island. 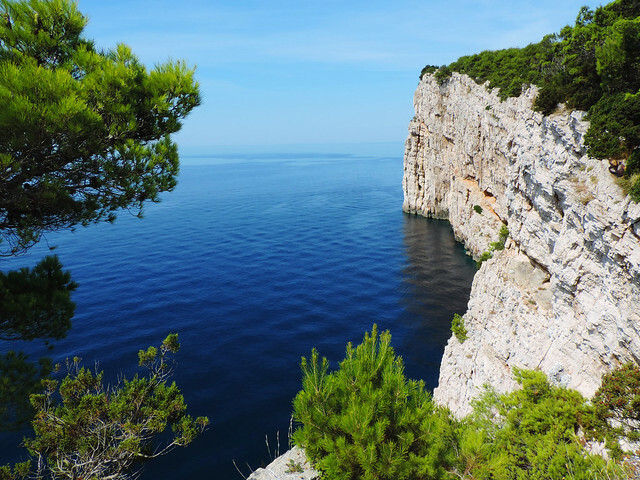 Its name means Long Island and well, it’s a proper name: Dugi Otok is 45 km long and only 5 km wide. Our boat stopped at its southern shore in the nature park of Telašćica that is adjacent to Kornati Islands National Park. Time flied too quickly. 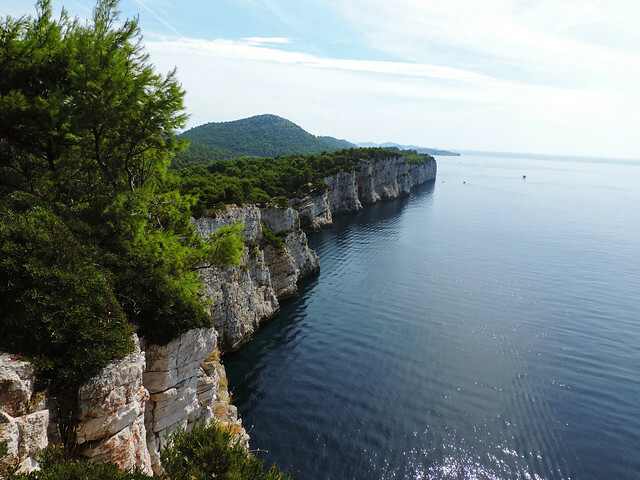 We hiked a bit on the high cliffs facing the open sea and had some stunning views. Then we went swimming in the salt lake which was 10 minutes walk from the small port. It’s perfectly green and we were happy to feel it’s much warmer than the sea. We had to say goodbye to Dugi Otok and Kornati Islands too soon. We had another short stop on an island called Ugljan on our way back. It was really short, barely just an hour – just enough to jump in the blue water and have a short swim. So how did we like the tour? Honestly, Kornati Islands are far. Roughly half of the day trip was about getting there and back. We wouldn’t say it’s boring because the distant views of Zadar, the coastal mountains and the islands are nice all the way, but it’s Kornati Islands National Park itself where the tour got really special! We enjoyed our stay on Dugi Otok very much! Actually, we would rather have just one really long stop on Dugi Otok instead of the second stop. But that was the tour schedule and most of the tour schedules of the different companies are the same, they have 2 stops. It was a nice introduction to Kornati Islands overall. However, there’s so much more to see there! 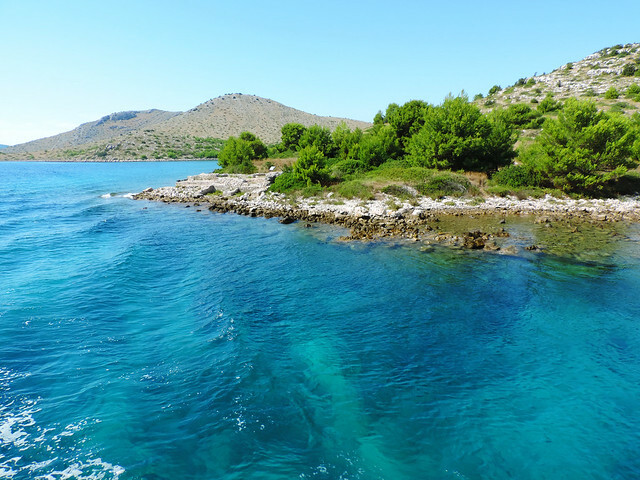 Kornati is a paradise for snorkeling and diving and it could be just as stunning under the water as it is to navigate around the small islands. There’s reason to return. Have you ever heard about Kornati Islands? What is your favorite place for snorkeling/diving? Next post Hike To The Green Lake Of High Tatras!